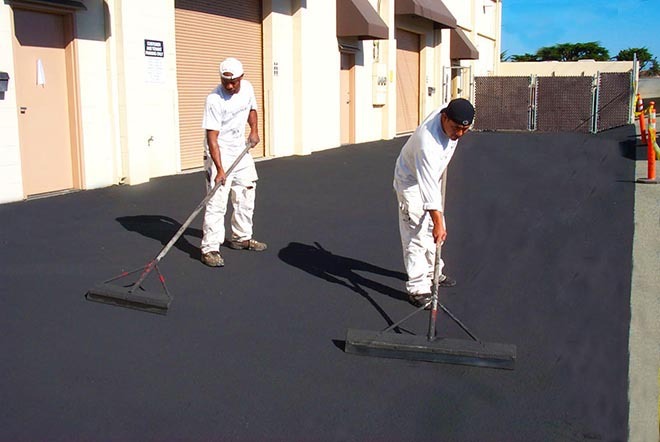 Extend the life of your driveway, access roads, and parking areas by rejuvenating the surface of worn, faded, and cracked asphalt paving with a seal coat of fresh asphaltic emulsion. 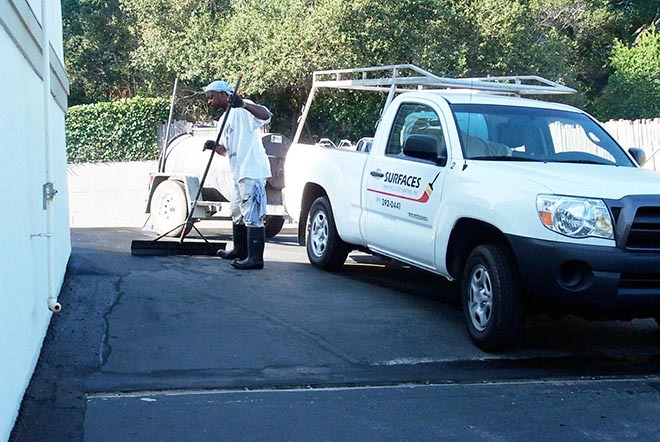 By repairing existing distressed areas (such as surface cracking, raveling, and pavement alligatoring) water is prevented from penetrating into the base layers which over time can cause the roadway to fail. 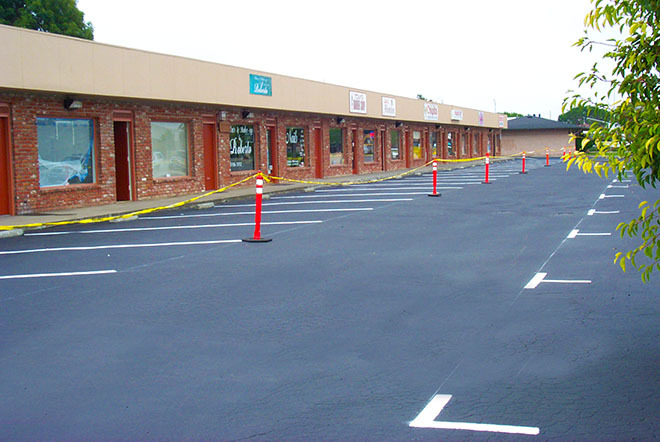 Upon completion your new surface is ready to use in a few hours. 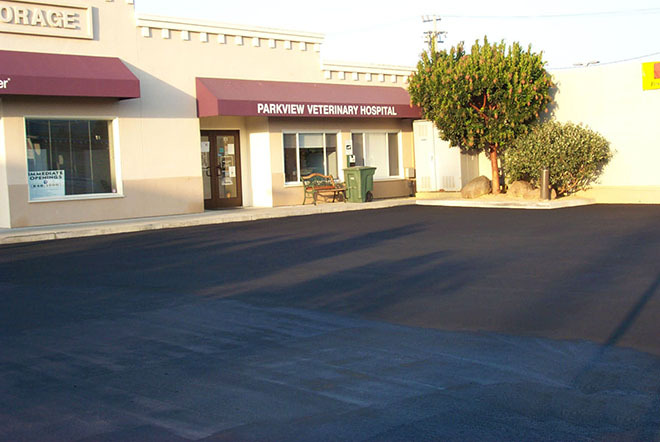 Its uniform black surface is an all-weather and long lasting surface that enhances the appearance of your property and increases its value.